WW-33124 Units: 1 mix Just add 8 oz. cream cheese and 4 tablespoons butter to make a delicious cheeseball. Serve with veggies, crackers, bread, bagels, etc. 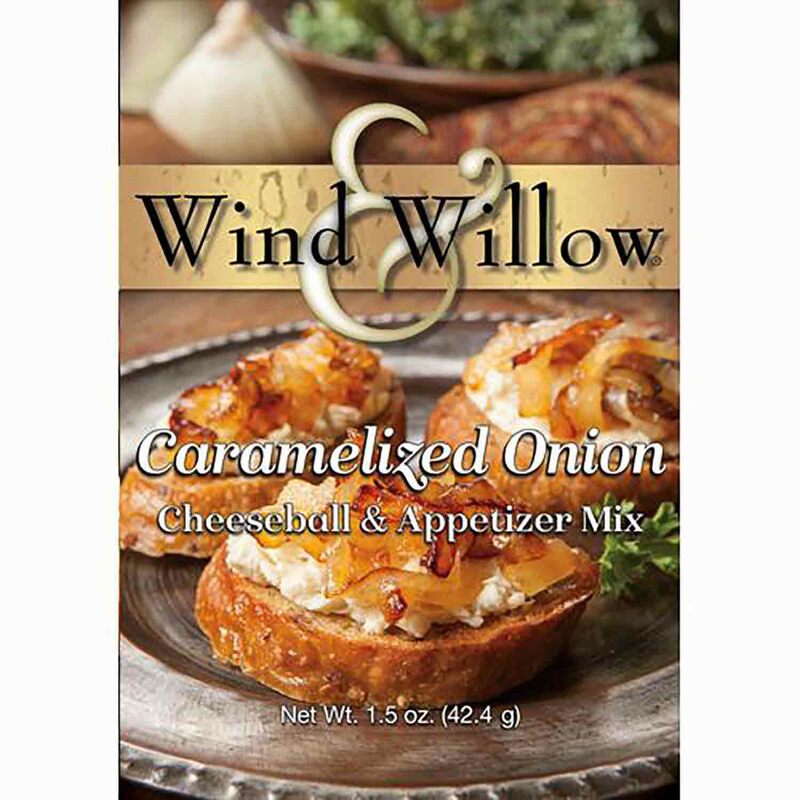 Package also includes instructions to make a caramelized onion crostini: Combine mix with 8 oz. cream cheese and spread onto a toasted baguette. Top with caramelized onions. Just add 8 oz. cream cheese and 4 tablespoons butter to make a delicious cheeseball. Serve with veggies, crackers, bread, bagels, etc. Package also includes instructions to make a caramelized onion crostini: Combine mix with 8 oz. cream cheese and spread onto a toasted baguette. Top with caramelized onions.